We are one of New Jersey’s top cover acts, dedicated to providing classic, and cutting edge, musical excellence for your wedding or private event! Five seasoned musicians and four lead singers with strong male and female vocals make for limitless possibilities in song selection. Our infectious, high energy performance is designed to take you on a musical trip through all of today’s popular music as well as the best music of years past. You will dance, sing, and make memories that will last a lifetime! Available for weddings, corporate, and other private events, we can custom tailor the event to meet your specifications. Add extra pieces to the band, or a concert light show! Need a DJ, or someone to play at your reception or cocktail hour? We can provide that too! Customize your event package with us today! The Event Horizon was a great fit for our wedding! We had seen them perform numerous times at our neighborhood bars and restaurants and knew they would be perfect for our wedding through their range and versatility of cover music. We gave them a list of things we wanted to hear and had them play everything from classic rock to 80s and 90s hip hop to dance music. All our guests raved about how much fun they had and the dance floor was filled all night. They even offered to have two band members play st the ceremony if we needed or cocktail hour but we had already booked a friend to do that for us. They brought in a Dj to play during dinner and to play for the first dance and the father of the bride and mother of the groom dances. They are so full of energy and we love them. Their lead is a female vocalist but the guys sing too so they really can do everything and anything you want to hear and they’ll do it well! Definitely recommended! My husband and I got married July of 2016. 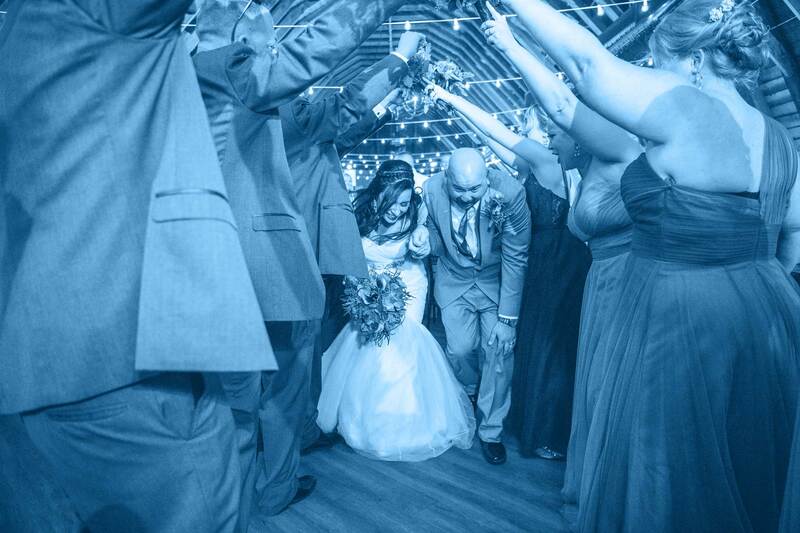 Music was one of the most important items on our wedding list of priorities. We searched and searched until we came across the best band that captivated us. We knew this was the band for us between the vocals, diverse genres of music, stage presence, and talented musicians! Working with the band was very easy. Henry met with us at our home to explain how they could coordinate with our DJ/MC, and helped select the music that was accommodating for all age ranges of our guests at our wedding. They offered additional musical instruments like the saxophone that paired well with our song selections, as well as a pianist that played during our cocktail hour! They provided a superb overall experience that resonated throughout the day. I would highly recommend them, so come see them at one of their shows! I can’t recommend this band more highly. So many compliments from our guests who all danced the night away, reasonably priced, and most importantly, they helped create the best night of our lives. Total professionals. Thanks Henry and team! The Event Horizon was amazing at our wedding! They kept everybody on their feet the whole time and almost a year later our guests are still talking about how great they were. I would highly recommend hiring The Event Horizon for your wedding or event! To book us at your wedding, please contact us below with the date and location of your event.